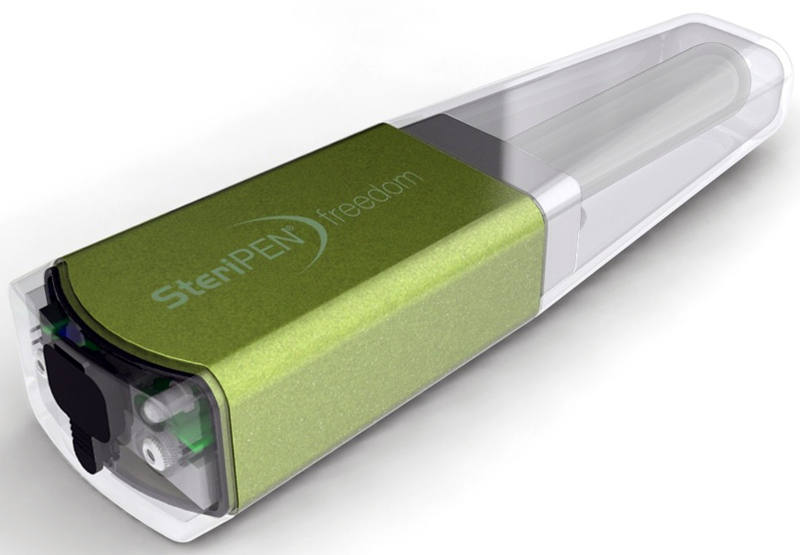 Steripen has produced 'freedom', a highly portable purifier that uses UV light to sterilize water for drinking. 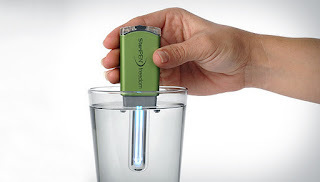 The company is well-known for its water purification devices, of which 'freedom' is the lightest and smallest at 5.1 inches long by 1.4 inches wide and 0.8-inches deep (130 x 35 x 22 mm) and a weight of 2.6 ounces (74 g). The device need only be immersed in up water and its UV lamp will illuminate, within 48 seconds (per 0.5 L of water) killing over 99.9% of bad bacteria, viruses, and protozoa. 'Freedom' offers 40 treatments on a single charge, while the UV lamp and battery last for over 8,000 uses. The device recharges via a micro USB port, connectable to computers, solar chargers, or normal wall outlets. The device also features an LED flashlight. Available in fall 2011, 'freedom' retails for 120 USD.